Bardons & Oliver’s standard, specialty and hybrid systems include a full array of pipe cutting, tube cutting and bar processing machines that will meet the demanding needs of your industry and applications. TBC automatic lathes that load tube or bar stock, turn, bore, cut off then unload in one fully automated step. 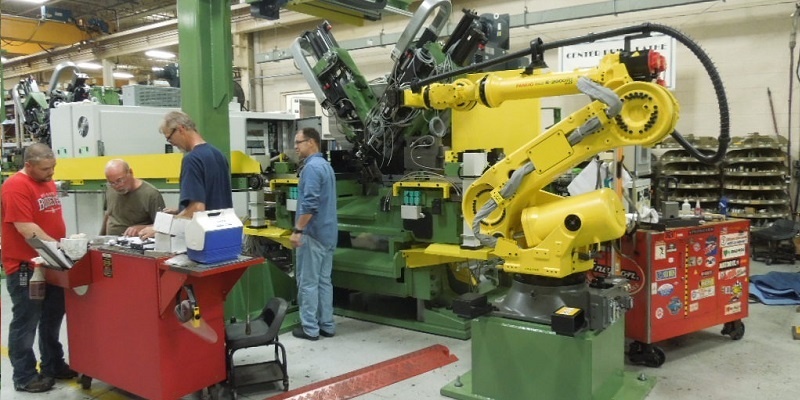 Our customized Machine Tools feature many configurations and options designed and specified to improve your manufacturing capabilities. Bardons & Oliver’s durable Machine Tools stand the test of time. In fact, many of our customers’ solutions have been in operation more than 60 years and are still going strong. We will work with you start-to-finish to do more than just build machines for your applications. Our engineers will review your drawings, help develop your specifications and even recommend opportunities for design improvements or add-ons that can increase efficiency in your production. When you count on quality and reliability, depend on Bardons & Oliver’s Machine Tool solutions. Our exceptional standards show in our ISO 9001:2008 with Design certification.